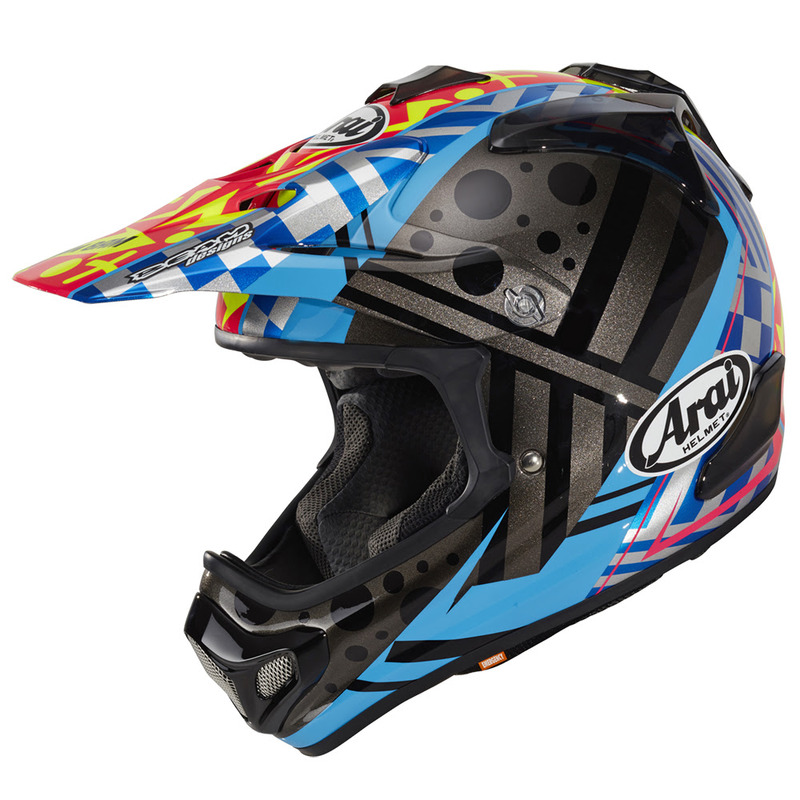 Arai motocross helmets far exceed every national and international FIM & ACU safety standard for motorcross racing. 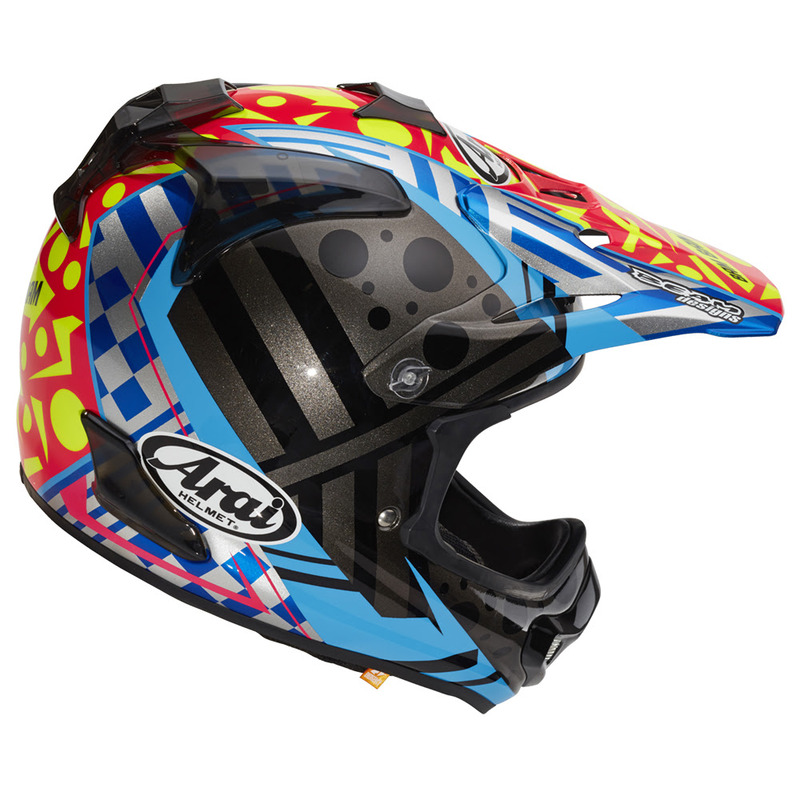 Remember it is your head you are protecting, and this motocross helmet does just that. The shell itself is consistently round and smooth, maintaining the R75 Shape concept in areas above the acknowledged test line and influencing those below the test line. Here, the rounded chin bar maintains the same compact shell length as the previous model, the MX-V. The result is less protrusion, which has proven to be less likely to catch and dig in during a spill.